“It’s hard for skydivers—or astronauts or space tourists ejecting at high altitude—to stop a spin, and a suit without the appropriate safety features could make the situation worse,” said Kevin Duda, a space systems engineer at Draper. Duda has designed a system that’s intended to stop a spin at extremely high altitude using a network of sensors and control moment gyroscopes (CMGs). Designing the spin control system required Draper engineers to address the worst-case scenario—emergency situations encountered by astronauts and space tourists traveling in the high stratosphere, which is anywhere from 20 to 30 miles above the Earth. With no atmosphere at that altitude, a person in a flat spin would need a way to counter and slow their motion. A suit with a built-in system that could activate automatically, without manual operation, would help in situations of an out-of-control spin. “Improving spacesuits for emergency escape at high altitudes is a priority for the space systems community, and that includes NASA and many of the private space companies developing suborbital and orbital vehicles,” Duda said. According to the United States Parachute Association, each year 3.2 million people in the U.S. jump out of a plane, and about 2,129 have an accident requiring a medical care facility. “No one wants that happening as more people set their sights on space tourism—and face the likelihood of having to bail out of a spacecraft at 20 miles or more above the Earth’s surface,” Duda said. 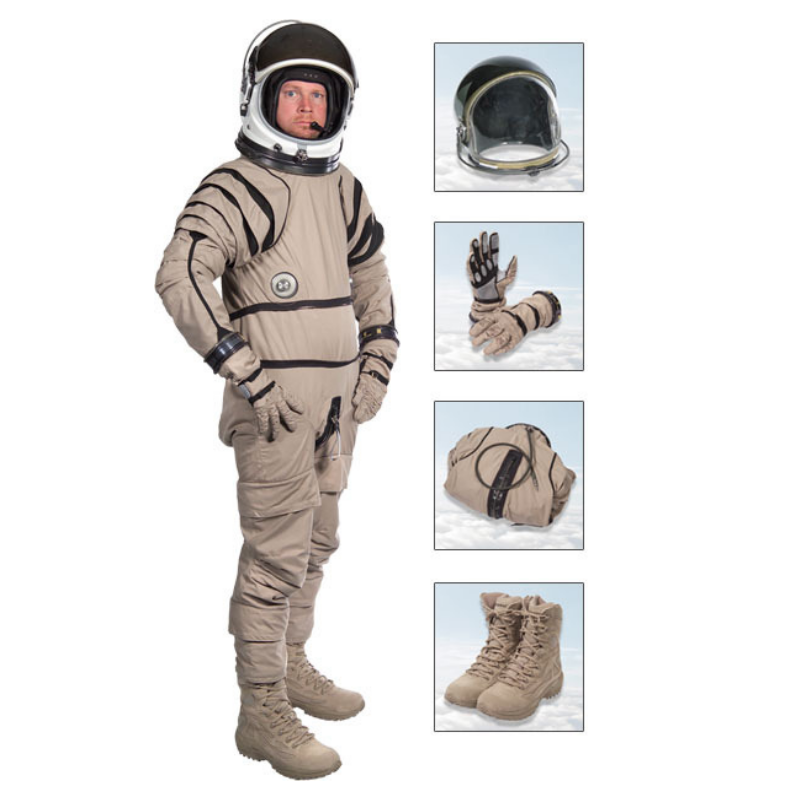 Shane Jacobs, design manager at David Clark Company, which has been designing and manufacturing aerospace crew protective equipment, including suits, helmets and ancillary equipment, since 1941, partnered with Draper on the concept of blending CMGs into a suit designed specifically for emergency escape at high altitudes. “Equipping a spacesuit with a system that can minimize or arrest a flat spin will be critical for the coming age of space tourism,” said Jacobs. Previously, his company designed the suit used in the Red Bull Stratos Jump from a record 128,000 feet—several times higher than the altitudes frequented by commercial jets. The current research into spacesuits, which was funded internally at Draper, is part of Draper’s growing human-centered solutions portfolio. The portfolio includes a wearable technology that helps the wearer recognize more data from their surroundings and understand them faster. It also includes a self-return system to ensure astronauts are safe, even if no other astronaut can rescue them.